Musician Lubos Bena is considered to be the most frequently travelling Slovak bluesman. Lubos was born and still lives in Záhorie, which is also the birthplace of John Dopyera – the inventor of the „Dobro“ resophonic guitar. In the late 90-ties, influenced and impressed by the U.S. stars who performed at the Trnava Dobrofest festival, he took a serious interest in the resophonic guitar and the blues. The Slovak Blues Society voted him the „Newcomer of the Year“ in 2001 and awarded him a prestigious title the „Bluesman of the Year“ in 2004 and 2008. He took part in a couple of music workshops directly in the cradle of the blues in the South of the U.S.A. 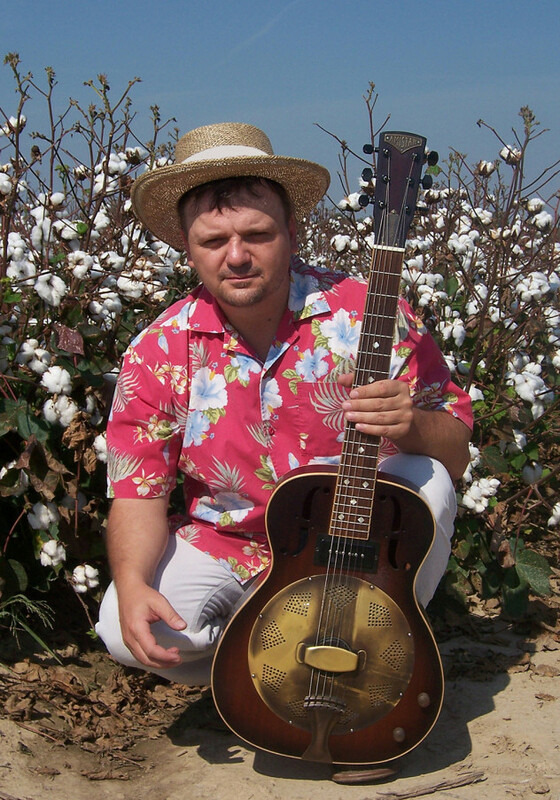 In order to study better and deeper the authentic blues, he travelled all over Mississippi, Louisana, Arkansas and Tennessee states and had become the first ever Slovak bluesman who performed there for the local audience. On top of that, he also took part in the recording of a new album of Dr. David Evans, the famous blues guitarist, singer and musicologist. Lubos performed at prestigious festivals throughout Europe, Russia and played at the U.S. Arkansas Blues & Heritage Festival. He represented Slovakia at the European Blues Challenge 2012 in Berlin, 2013 in france and 2017 in danmark. Lubos was a juryman at the International Blues Challenge 2012 in Memphis and as musician Lubos has represented the Slovak Republic at 29th International Blues Challenge 2013 in Memphis, in the end he went ahead to great semi-final. Lubos Bena played a small role of a pub musician in the Czech movie „ID Card“ and participated in composing music for the film, too. He was chosen to play as a support at the concert of the legendary American bluesman Johnny Winter during his Czech Republic tour. Lubos is the organizer of the regular cycle of concerts and festivals known as the „Music In Town“ in his home town Skalica. Besides, he has founded and led the civil association SLOVAKBLUES and portal Bluesmusic.sk.